The LEGO Star Wars Character Encyclopedia Updated and Expanded Hardcover Book is the ultimate guide to the mini-figures of the LEGO Star Wars galaxy! 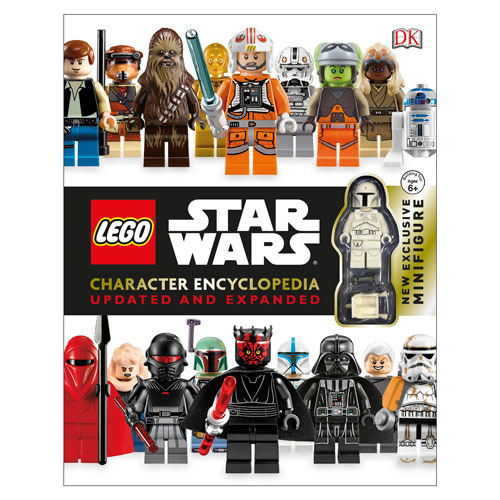 The LEGO Star Wars Character Encyclopedia Updated and Expanded Hardcover Book includes more LEGO Star Wars mini-figures than before! Discover incredible LEGO Star Wars facts, such as which mini-figure is the rarest and which can be found in the most LEGO sets. The 288 page hardcover book includes an exclusive mini-figure to add to your collection. Ages 6 and up.